Well, that's interesting. I was planning on getting a holographic polish at some point and prefer the linear look. Will I be able to tell which type it is just from how it looks in the bottle? That's a great question and something I didn't think to cover in my post. Sorry about that. 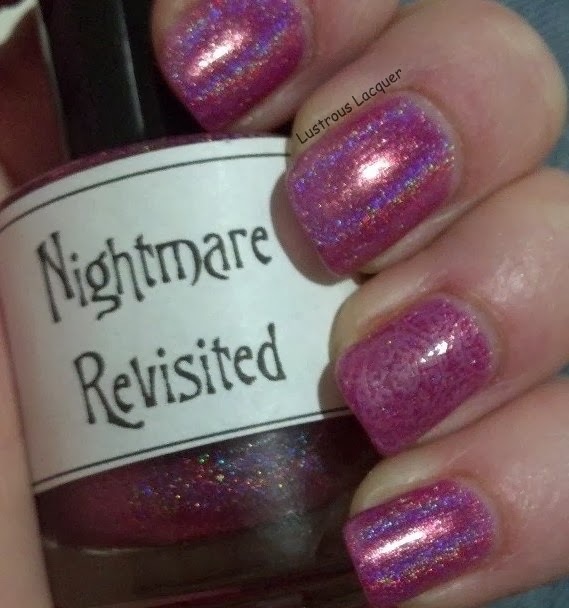 You should be able to tell if a polish is a linear or a scattered holo by turning the bottle around in the light. The rainbow effect will still be there but depending on how strong the holo is,will determine how easily it shows up. Thanks Lisa. I like both types of holos too but have found that I don't own very many scattered ones. I think that's why I like them so much. More character and depth than a cream. I do still like my creams for nail art though, especially as a base color.